Call of Duty Modern Warfare 2 is the second edition of the biggest and best selling game the world has ever seen and this edition does not fail to impress in any way. The team at Infinity Ward have done a great job with the graphics as they are truly excellent and also the game play which again is excellent and this together with the award winning online multi player system makes this one of the best games of all time in my humble opinion. 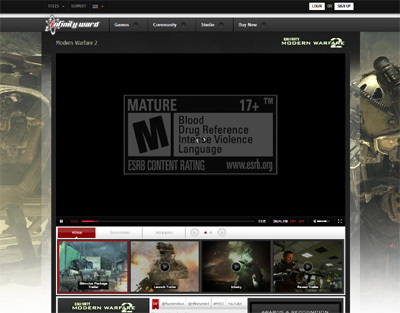 We have also compiled a Review System for this, of which Call of Duty Modern Warfare 2 is Rated as Five Stars, the highest possible score available from the Game Review Team.